Provide comfort for the family of Zofia Jakubowska with a meaningful gesture of sympathy. 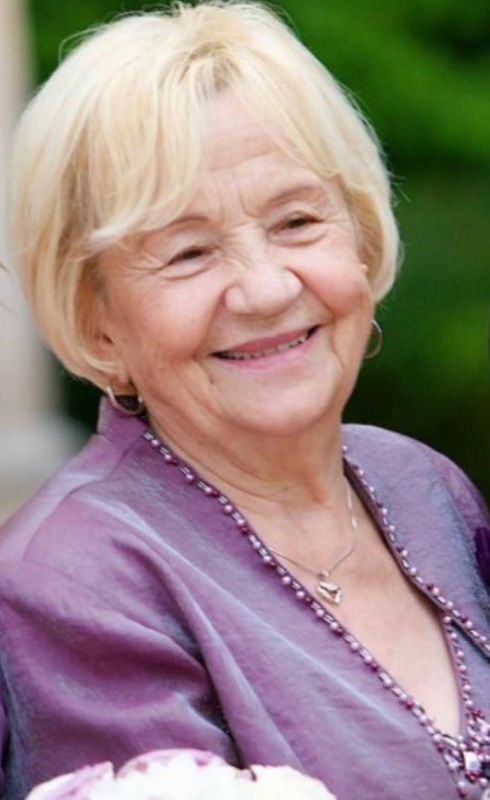 Zofia Jakubowska of Saddle Brook and formerly of East Rutherford, entered eternal life on Wednesday, March 20th, 2019, she was 84. Zofia was born in Wilcza Wola, Poland on May 9th, 1934, to Jozef and Karolina (Puzio) Dziadura. Zofia was married to Tadeusz Jakubowski who predeceased her in May of 2006. Zofia had come to the United States in August of 1986 by herself, until her sons and their families made their way here. She first lived in Garfield and then moved in her son in East Rutherford in 1999. She would travel back to Poland, where she would stay for a few months to be with her sons. In 2016, she moved to Saddle Brook where she lived with her son and his family. Zofia was a devoted Parishioner of Holy Rosary Church. She enjoyed sushi on Fridays, going out to lunch with her granddaughter, Jolanta, and shopping. She could often be seen taking walks and enjoyed dressing up for events. Zofia was a devoted mother and grandmother and enjoyed cooking for her family. Zofia also enjoyed watching Soap Operas in any language, and could often be found watching Court TV shows like Wesolowska. Zofia is survived by her four devoted sons and their wives, Janusz and Lucyna; Miroslaw and Barbara; Marek and Ewa; Zbigniew and Ela Jakubowska and her cherished eight grandchildren, Ewelina, Jolanta, Angelika, Michelle, Paulina, Patrycja, Norbert and Dominik. Visiting 2- 4 and 7 - 9 pm, Thursday, March 21st, 2019, Warner-Wozniak Funeral Service, 80 Midland Ave. Wallington, NJ. A funeral Mass will be celebrated 10 am, Friday, March 22nd, at Holy Rosary Church, 6 Wall Street Passaic, New Jersey 07055. Interment will follow at St. Mary's Cemetery, Saddle Brook. To send flowers to the family of Zofia Jakubowska, please visit our Heartfelt Sympathies Store. We encourage you to share any memorable photos or stories about Zofia. All tributes placed on and purchased through this memorial website will remain on in perpetuity for generations. Provide comfort for the family of Zofia Jakubowska by sending flowers.